Modern buildings owe much of their comfort to the heating, ventilation and air conditioning systems which they use. The modern systems are made to work effectively and efficiently, but just like all material things they are subject to changes that have an adverse impact on their performance. The replacement of the entire system is the most straightforward way to make a major improvement, but it is not the only one. 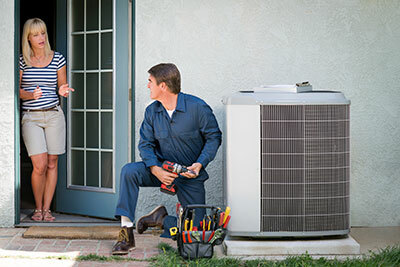 You can provide better HVAC maintenance and use a range of other measures which are effective and cost-efficient at the same time. 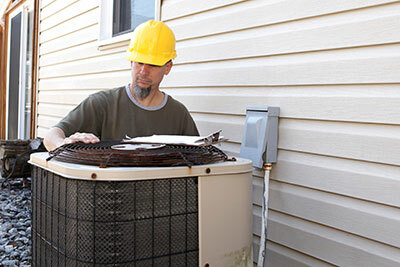 One of the most important maintenance tasks is air filter cleaning or replacement. It depends on what type of filter you use. In any case, it is best to check the filters for accumulation of dust, dirt and pollen every three months. If you have a filter that can be cleaned and set back into place, you should assess its condition and performance as well to decide whether it is time for a new one. The larger components of the system require regular cleaning as well. The list includes the air ducts and the condenser unit. If there is a heat pump set outside, it must be added to the list as well. It is important for the cleaning job to be done after thorough inspection of the components. This will reveal the presence of mold and other serious microbial contaminants. In such cases, the use of special UV cleansers will be required. While regular cleaning will make the system more energy-efficient for sure, there are other steps that you can take. Have the ductwork checked for air leaks. If such issues are found, immediate air duct seal repair will be required. The elimination of leaks will help you to bring down energy costs and reduce the amount of dust, dirt, pollen and other particles deposited inside the ductwork. It is also possible for the ducts to be insulated so that energy loss is reduced to the possible minimum. There are different types of insulation materials to select from. Each one has a specific R-value and method for installation. There are small, but effective tricks for enjoying maximum comfort and keeping energy costs down. You must not block the air vents in rooms that are used daily with thick carpets or furniture. You should also close the vents in rooms which are rarely used to avoid inefficiency. A programmable thermostat will also help you to save energy as it will allow you to have greater control over the temperature in your house. For example, you can choose to maintain slightly lower temperature during the day when no one is around. Adopt all of these measures for best results.